Relationships within the six-member East African Community have never been easy. The latest stand-off between Rwanda and Uganda follows a spat of accusations over the treatment of traders and nationals on either side, as well as spying allegations. As landlocked countries, both Rwanda and Uganda rely heavily on cross-border trade. Uganda additionally acts as a transit country for goods coming from the Kenyan ports to Rwanda. Neighboring countries, such as the Democratic Republic of Congo and Burundi, are also affected by the border blockade. 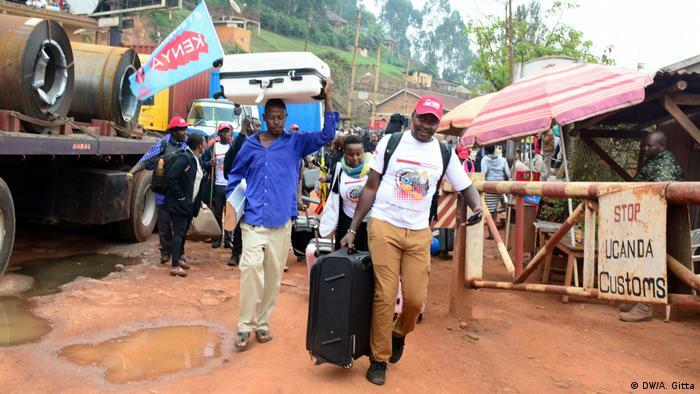 After the weeklong stand-off, Rwanda is letting some of the traders back in, but is warning its own citizens about travelling to Uganda, citing security reasons. Rwanda’s minister for foreign affairs, Richard Sezibera, says that the issues with Uganda have been going on for a while and efforts to address them have hit a snag. 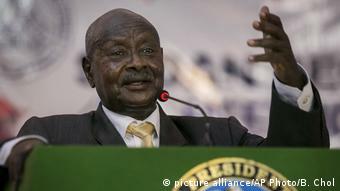 Speaking to reporters, he accused Uganda of harboring armed groups. Rwanda is particularly concerned about the alleged existence of the Rwandan National Congress (RNC) group in Uganda – a group that it claims is plotting to overthrow the Rwandan regime. Ugandan Foreign Affairs Minister Sam Kutesa denied these allegations. “Uganda does not and cannot allow anybody to operate in its territory that threatens a neighbor,” his statement read. While Uganda’s government has downplayed the matter, both the Ugandan business community and parliament are demanding answers. The dispute has been brewing below the surface for several months. In 2018, Ugandan police chief General Kale Kayihura was arrested and is being tried in court over allegedly helping to kidnap Rwandans living in exile in Uganda and handing them over to the Rwandan government. According to Izama, it is ordinary Rwandans and Ugandans who are suffering from the dispute. 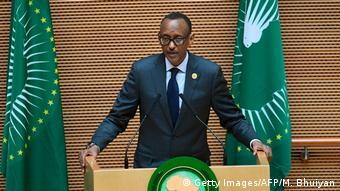 “I think most ordinary East Africans are ahead of the governments with integration. There’s a large movement of people and trade,” Izama told DW. The two countries have longstanding historical ties, he says, and the border which came with colonialism separated people who actually spoke the same languages and had the same culture. Another loser in the dispute is the East African Community – the six-nation regional body, which has been discussing freedom of movement of people and goods, a common currency and stronger regional ties, for years. Kenya, Uganda and Tanzania even have an East African passport, which should allow free travel within the area. “I think the two leaders must take a step back and consider that they’re not the only two people in the room and that they’re not the only two people with a vision of what is right,” he said.